The University of Oxford and Lincoln College are delighted to announce the creation of a vital teaching post in Chinese art history, thanks to generous philanthropic support from June and Simon Li. Once appointed to the post, the June and Simon Li Associate Professor of the History of Chinese Art will be part of Oxford’s History of Art Department, as well as holding a tutorial fellowship at Lincoln College, Simon Li’s alma mater. The Lis have been loyal and generous supporters of Lincoln for many years, in recognition of which they were named Fleming Fellows of the college in 2008. They have given to numerous college projects, as well as funding posts and supporting scholarships for international undergraduates. ‘We are especially delighted that the governing body of Lincoln stepped forward to embrace the position, expanding the College's offerings and its horizons,’ explains June Li. Thanks to the Lis’ generosity, Lincoln is now able to add a new subject to its roster of undergraduate courses, enabling it to accept History of Art students for the first time. Tutorials will build on the college’s existing strengths in History, whilst also complementing the provision of Classical Archaeology and Ancient History. Simon Li studied English Literature at Lincoln, matriculating in 1966. Over 40 years later, he retired from a distinguished career in journalism, having held senior positions at the Philadelphia Inquirer and the Los Angeles Times. June Li is a respected historian of Asian art. She was the founding curator of the Chinese Garden at the Huntington Library, Art Collections and Botanical Gardens, until her retirement in 2014. 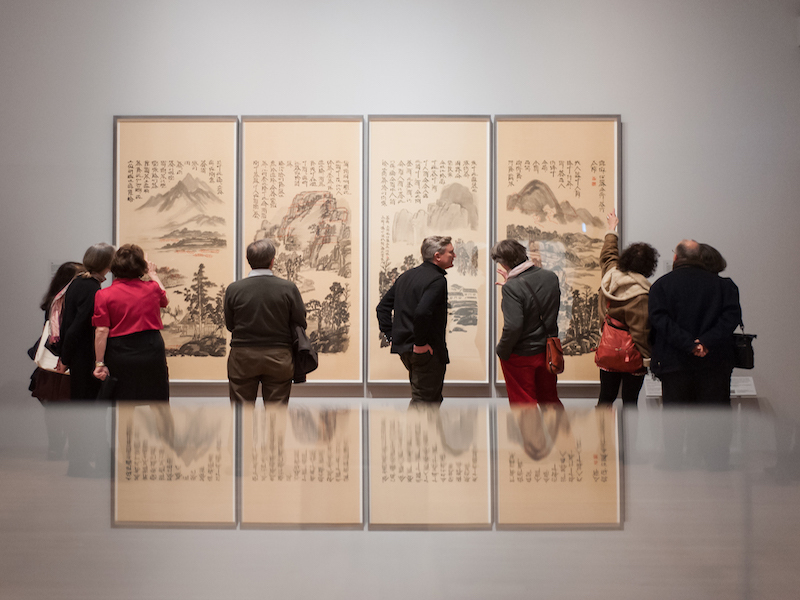 As well as supporting Lincoln, the Lis’ generosity also gives new strength to the University’s international reputation in the important field of Chinese art history. ‘This hugely generous gift ensures for all levels of Oxford art history students, the continued availability of teaching on the art of China, as well as deepening Oxford’s capacity to act as a centre for research in the subject,’ says Professor Clunas. The History of Art Department has long been at the forefront of Oxford’s drive to develop a broader and more diverse curriculum. The department is committed to teaching art within a global context, and offers students access to an unrivalled range of expertise and resources relating to all aspects of global visual and material culture. ‘As well as being delighted, I’m deeply grateful to June and Simon Li for enabling us to embed continued study of art from one of the world’s oldest cultures in one of Oxford University’s newest departments,’ adds Professor Clunas.